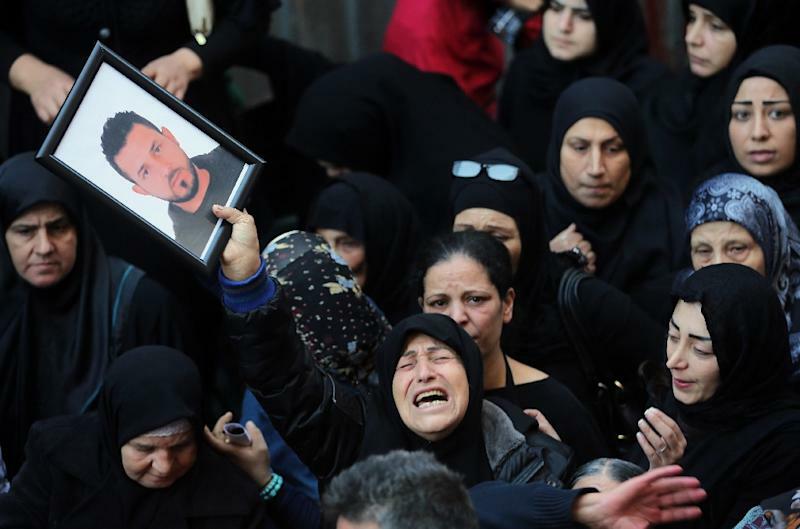 Beirut (AFP) - Lebanon on Friday mourned 44 people killed in a Hezbollah bastion in south Beirut in a twin bombing claimed by the Islamic State group, the bloodiest such attack in years. 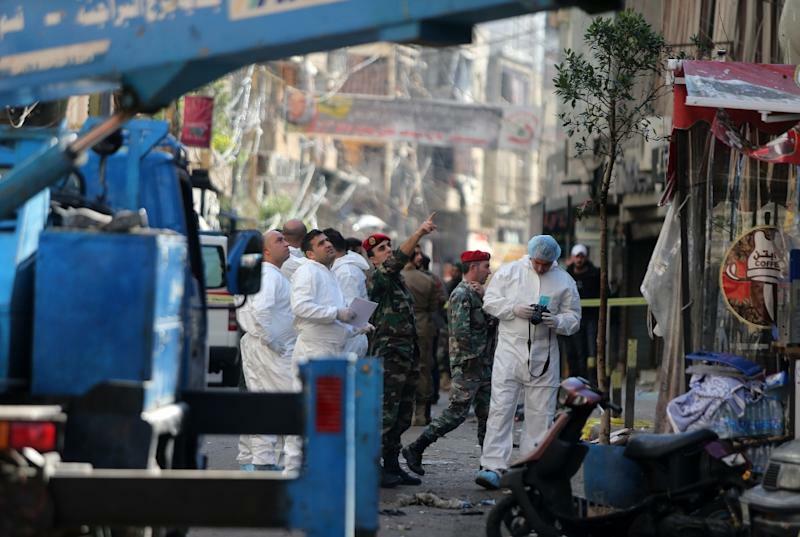 The Red Cross said at least 239 people were wounded, several in critical condition, in the blasts that hit a busy shopping street in Burj al-Barajneh, a neighbourhood where the Shiite Hezbollah movement allied to Syrian President Bashar al-Assad is popular. The attack harked back to a campaign against Hezbollah between 2013 and 2014, ostensibly in revenge for its military support of regime forces in neighbouring Syria's civil war. But it was the largest attack ever claimed by IS in Lebanon, and among the deadliest bombings to hit the country since the end of its 1975-1990 civil war. Hundreds of people attended funerals on Friday after hospitals started to hand over the bodies of victims to their families. One victim, Adel Tarmous, was hailed as a hero in the newspapers for having prevented a bomber from entering a Shiite place of worship. 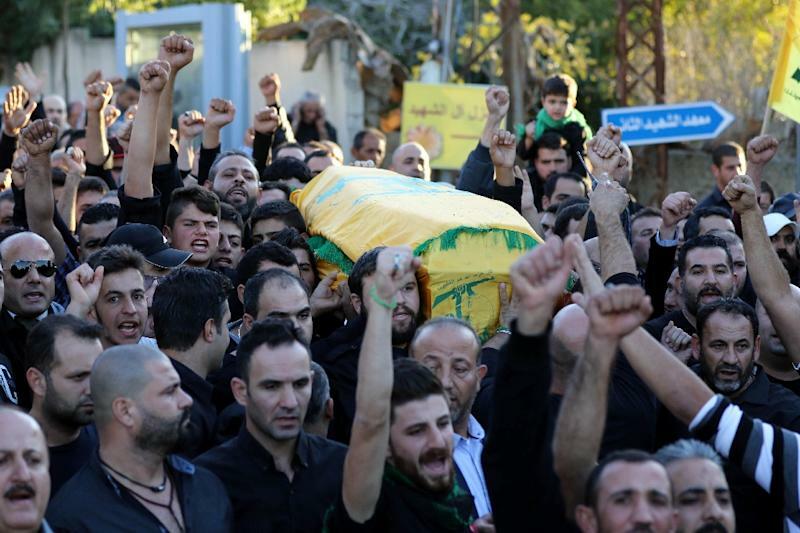 Wrapped in Hezbollah's yellow flag, he was buried in his native village of Talousa in south Lebanon near the border with Israel. As Lebanon observed a day of national mourning, schools closed for the day and politicians across the fractured political spectrum condemned the attack. The blasts ripped through a street market in the poor, mainly Shiite Muslim neighbourhood, staining the ground red with blood. One witness told local television: "When the second blast went off, I thought the world had ended." The army initially said there were two suicide bombers and a third bomber who failed to detonate his explosive device was found at the scene. But IS gave a different version in a statement claiming responsibility for the attack that circulated online, and on Thursday Lebanese authorities said it was unclear if there had been three attackers or not. IS said "soldiers of the Caliphate" first detonated explosives planted on a motorbike on the street. "After the apostates gathered in the area, one of the knights of martyrdom detonated his explosive belt in the midst of them," the statement added. It made no reference to Hezbollah's involvement in Syria, much of which is under IS control, instead using starkly sectarian language and derogatory terms for Shiite Muslims. The Sunni extremist group considers members of the sect, as well as others who stray from its interpretation of Islam, to be apostates. The attack would play "into their sectarian rubric, operationally and strategically it makes sense for the group", IS expert Charlie Winter told AFP. The blasts come as IS faces military reversals in both Syria and Iraq, and could be a bid to assert its continued relevance. "I think there is certainly a correlation between lashing out like this and if things more broadly aren't looking so good for the group," Winter said. The blasts drew local and international condemnation. Former premier Saad Hariri, who leads a political bloc opposed to Hezbollah and its allies, called the attack "vile and unjustified". French President Francois Hollande called the attack "despicable", and the White House vowed that "such acts of terror only reinforce our commitment to support the institutions of the Lebanese state". UN Secretary General Ban Ki-Moon said Lebanon should "not allow this despicable act to destroy the relative calm that has prevailed in the country over the past year". The blasts were the first to target a Hezbollah stronghold since mid-2014, after a campaign of such attacks in 2013 and 2014. The attacks were claimed by a variety of Sunni extremist groups, including one in January 2014 claimed by the Islamic State of Iraq and the Levant, which later became IS. Most said their attacks were in retaliation for Hezbollah's backing for Assad's regime, although the victims were overwhelmingly civilian. Hezbollah is a staunch ally of the Syrian regime and is backed by Iran, another key supporter of the Damascus government. In early 2013, it acknowledged dispatching fighters to back government forces against a Sunni-dominated uprising that began with anti-regime demonstrations in March 2011. Since then, Hezbollah has become deeply involved in the conflict, deploying fighters throughout the country to bolster Assad's troops. At least 971 Hezbollah fighters have been killed in Syria, according to the Britain-based Syrian Observatory for Human Rights.